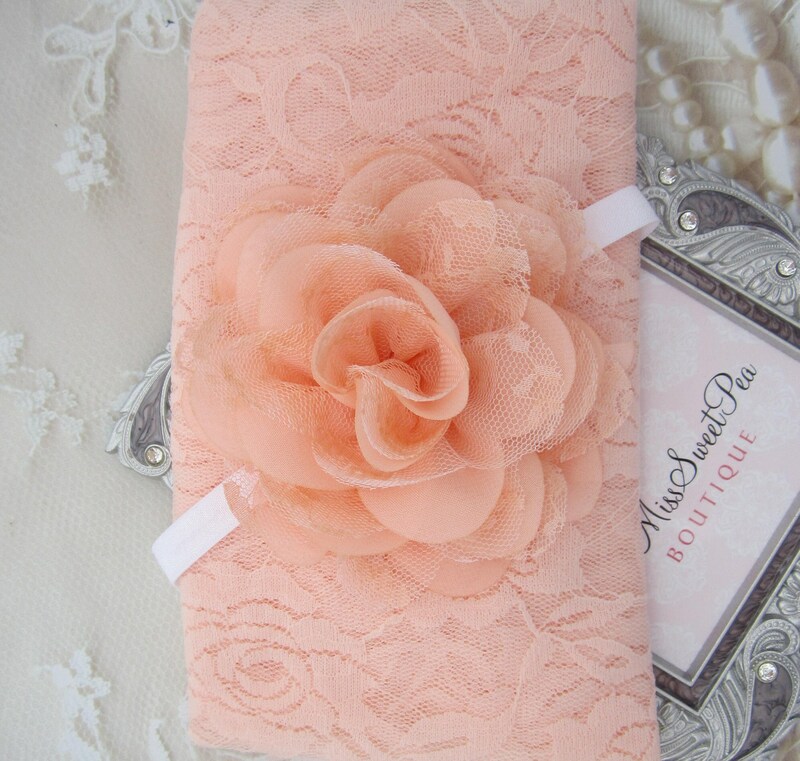 Light peach stretch lace swaddle wrap AND/OR Peach Chiffon & Lace Flower headband for newborn photo shoots, bebe foto, by Lil Miss Sweet Pea. Baby couldn't be more photo-worthy when she dons this stretchy lace swaddle wrap that's polished off by a matching headband. These gorgeous stretch lace wraps can be completely swaddled around newborn babies for the perfect newborn photo shoot! Their generous length and width is perfect for your photo shoot. Edges are unfinished. 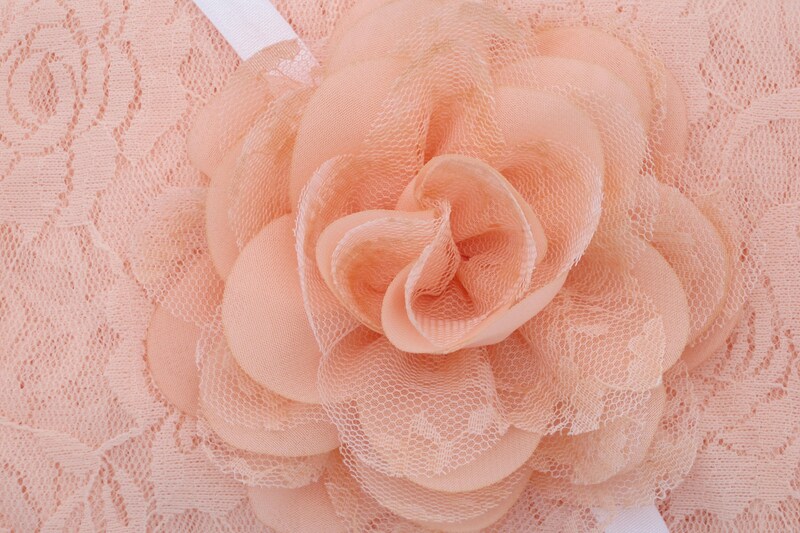 Our items are made to order, if you prefer a white lace headband, or white skinny elastic rather than ivory, etc. you may send a note in notes to seller and we can customize any order. Wraps on models show are for information use only. 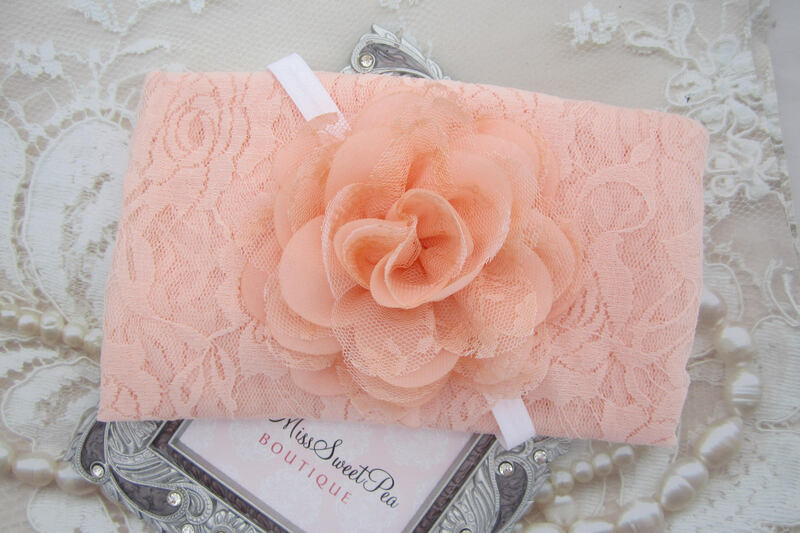 This listing is for a light peach wrap and or matching headband. Our wraps are a generous 16 x 58" so you can do really cute wraps with them as shown.